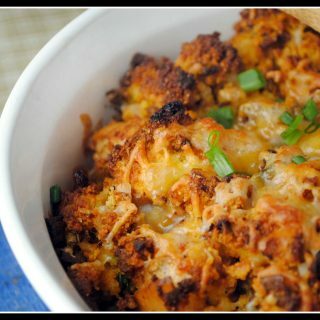 It's easy to make delicious side dishes for Thanksgiving or any time of the year. 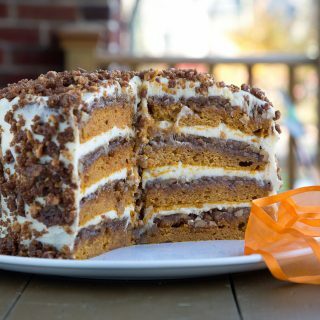 You'll love these easy to make recipes that will have your guests asking for seconds! Thanksgiving has always been one of my favorite holidays…..well except for the ones I’ve worked. It’s a day to see family and friends, a time to come together and give thanks for all the blessings you have in your life. 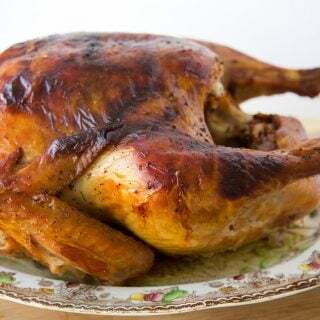 And I’m very happy to share some of my favorite Thanksgiving recipes with you today. When preparing our Thanksgiving Day Feast, I’m pretty traditional in the fare that I serve Lisa and our guests. Although I can be pretty creative, Thanksgiving is not the time I try to come up with new dishes. For us, it’s the basics. Turkey & Gravy, Stuffing, Mashed Potatoes, Cole Slaw, Green Beans and Cranberry Sauce. We don’t usually eat Sweet Potatoes, but this year I will be trying out one of the recipes I’ve shared today my Roasted Sweet Potato-Apple creation. Of course, they’ll be a few pies for dessert, a traditional Pumpkin Pie with fresh whipped cream, pecan pie and my favorite Apple-Cranberry with a streusel topping. Below you’ll find two of my Sweet Potato recipes, Roasted Beet Compote, Cole Slaw, and Cranberry Sauce to help you with your Holiday table. The first is really delicious and healthy, my Roasted Sweet Potato-Apple with onions……it’s yummy! 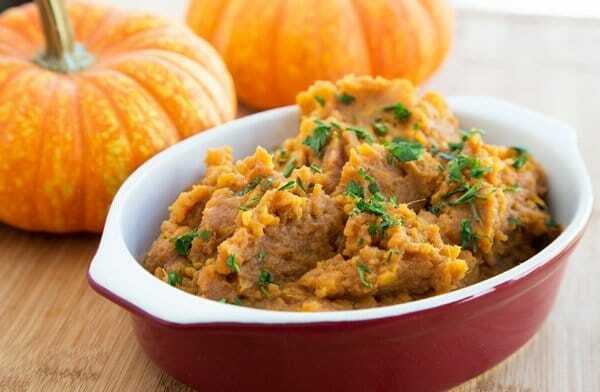 Of course, you can really jazz up your sweet potatoes and make them more family-friendly by mashing them! And adding a few of your own touches will really liven up the flavors. In this version, I added apple butter, brown sugar and cinnamon. 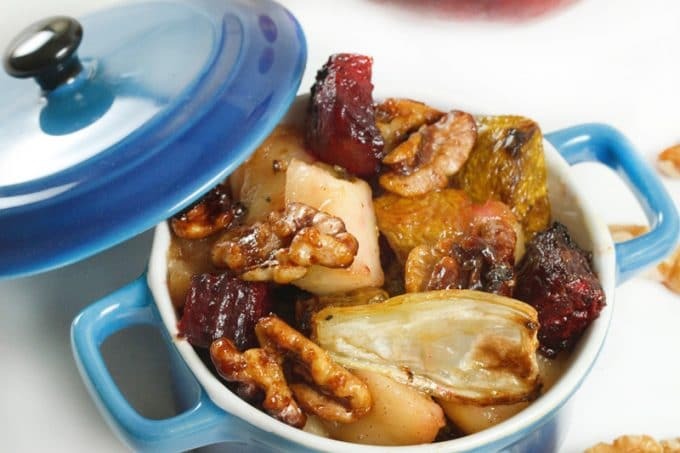 One our family favorite vegetables are beets and making them in this delicious compote with apples and walnuts will get even the finicky eaters to try this flavorful combination! 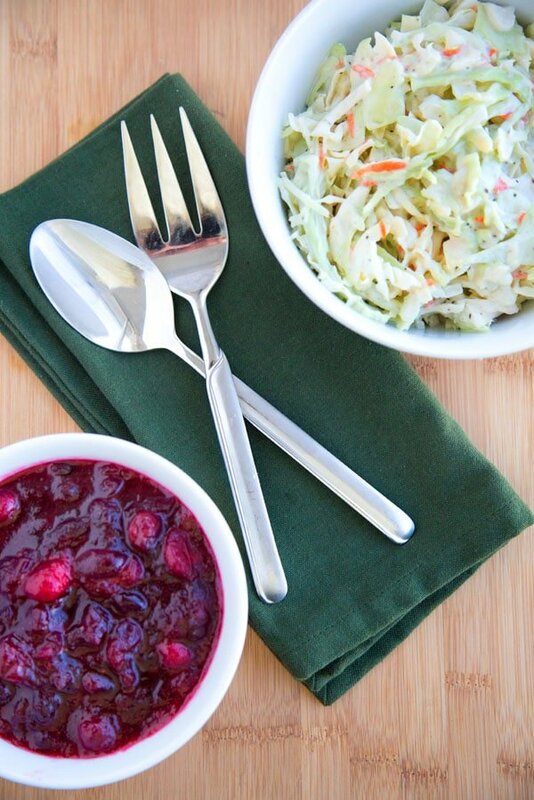 It can’t be Thanksgiving without Cranberry Sauce, and in our house, you’ll always find Cole Slaw on our holiday menu. Have a Great Holiday, no matter what you serve and remember to count your blessing and be thankful for all you have in your life. 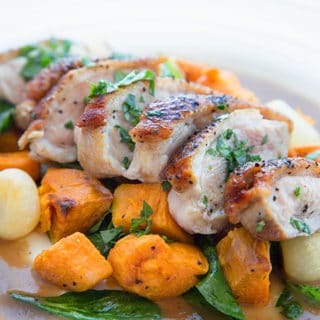 If you’ve tried my Thanksgiving recipe or any other recipe on askchefdennis.com please don’t forget to rate the recipe and let me know where you found it in the comments below, I love hearing from you! You can also FOLLOW ME on Instagram @chefdenniseats and @chefdennistravels, Twitter and Facebook. allow to cool for about 20 minutes, then refrigerate over night. Cranberry sauce will become jellied when fully chilled. Mix together cabbage and grated carrot, then add in cole slaw dressing and mix well to make sure the mixture is thoroughly coated. 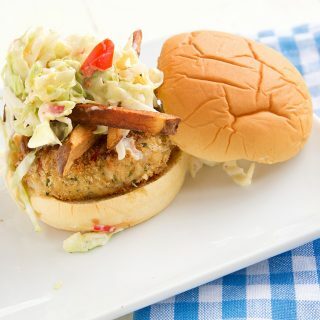 Cole slaw needs to sit at least 4 hours before eating, and its best to make it the day before. Peel and cut sweet potatoes into medium sized chunks, coat with olive oil and season with salt and pepper add onion chunks and place on a cookie sheet in a 350 degree oven for 15 minutes before adding apples. Peel and cut apples into medium sized chunks, coat with brown sugar and cinnamon and place on cookie sheet with sweet potatoes after they have cooked 15 minutes and cook for an additional 15 minutes. remove from oven and mix both together, place on a serving platter and sprinkle with chopped parsley. 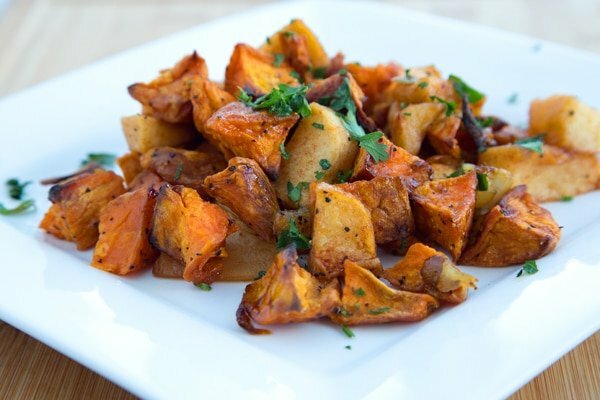 Peel and cut sweet potatoes into medium sized chunks. drain potatoes well and in a mixing bowl add the potatoes and butter and whip until butter is melted. mix each color separately with olive oil, sea salt and pepper and place into roasting pan. cut fennel bulb into the same size pieces and coat with olive oil, salt and pepper, then place in roasting pan with beets. While beets are roasting, peel and cut the apples into bite-size pieces and place them in a saute pan with 2 tbsp of butter and 2 tbsp of brown sugar, and cinnamon. Saute apples for 5 minutes just to soften them up some, set aside. In another saute pan add one tbsp of butter and 2 tbsp of brown sugar and mix well. Add the walnuts and over a medium heat. coat the walnuts with the brown sugar mixture* tossing to get them completely coated. remove the walnuts from the pan and place on parchment or a plate to allow the sugar to set. When the beets are done, gently mix your compote together and serve warm. Yum to all! Always a pleasure to see ur column! Happy Thanksgiving! Delicious, as always! Happy Thanksgiving, Chef Dennis! Thank you Betty Ann, Happy Thanksgiving! I am making your Roasted Sweet Potatoes and Apples recipe this year!!! I am, of course, going to have to do a test run (or two) in the next couple of weeks. I prepare an incredibly large Thanksgiving spread for my family, serving 4 types of sweet potatoes and I am adding these to the menu. I am also going to add a couple of cole slaws to the table. Would have never thought about cole slaw. Great idea. I do 5 different cranberries, and missed yours. Can’t wait for your version. Thank you so much for sharing such a festive meal. Happy Thanksgiving, Chef Dennis! I know you’ll find them to be delicious, its the onions that really take it over the top with the contrast of flavors! It sounds like you’re going to have one amazing table and I look forward to hearing about your Thanksgiving! I can’t believe I forgot to add the Cranberry Sauce recipe….. I just put it in JC, hope you get to try it! Thank you! I’m adding cardamom and cherries. Happy Thanksgiving to you, my favorite Chef Dennis. those mashed sweet potatoes look wonderful! 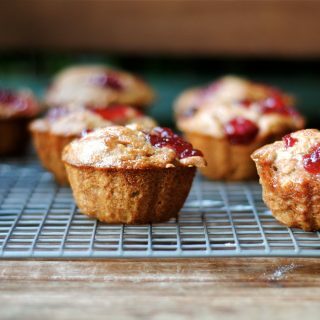 it’s not often i find a recipe sure to please everyone in my household, from adults down to 7 month olds. this one ought to do it! Thank you Anna! Not being a big fan of Sweets I always try to find new ways to serve them!